I have always traveled and when I became disabled, 22 years ago, I realized the cost to do it would be triple what it used to be. It used to be that specially equipped hotel rooms were more expensive than regular rooms.The wheelchair taxis were also more expensive to hire as well. Also, tours would be pretty costly because you needed the handicap equipped buses too. However, thanks to lawsuits against these companies, they can't charge more than regular accommodations. However, I do find that in other countries, especially where there are no ADA laws, they can still get away with charging more to accommodate us. Do you find that the cost of traveling prohibits you from going and experiencing the great outdoors? Especially for those of you who have to travel with a companion/caregiver. I'm worthless for this thread, Califanna,...not that you were counting on me. I get to go to the grocery store once a week, and it costs me two dollars. That's the extent of my "travels". I read with amazement that other SCI's can afford to travel. But, "more power to you", and send me a postcard. Sorry califanna, I'm with vintage,. I'm from England and still haven't been back since my injury. Can't afford it and quite honestly don't fancy the long plane ride. I'd love to go back and visit, but it just seems like more hassle. Have fun though, and send me a postcard too. Sorry califanna , I'm with vintage ,. I'm from England and still haven't been back since my injury. Can't afford it and quite honestly don't fancy the long plane ride. I'd love to go back and visit, but it just seems like more hassle. Have fun though, and send me a postcard too. I hear that many people avoid traveling because it is just too much hassle. I was just curious if money was more of an issue to get out and travel. There are a number of travel blogs springing up about traveling with a disability. However, most of these individuals are quite well off and are not including the cost of their travels. It would be great to see for once the true cost of traveling with a disability. Yes, it's definitely an important issue. And even though I don't have the money to travel, I would be indignant with the system if I were offered a trip, and that trip ended up costing my benefactor much more than had been expected. 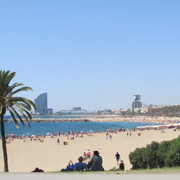 To date the most accessible place i have visited was Barcelona Spain, the sun, beaches and historical places made it one of the best holidays ever. in addendum i can still can make the ladies blush to. 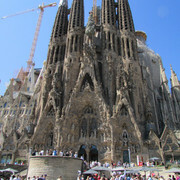 Now here's a Barcelona must visit. all fully accessible. 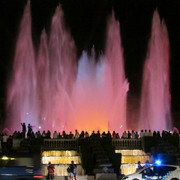 The Sagrada familja church, costa del mare beach and the famous dancing fountain where the late Freddie Mercury sang the classic song Barcelona. 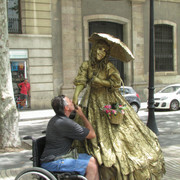 I second that Barcelona is very accessible. I was able to get into many venues and restaurants. I enjoyed my time there. 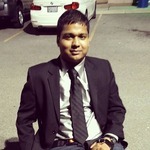 If you ever want to get tips about traveling with a disability, the guy who started Accomable.com, Srin Madipalli, has a Facebook page called Accessible Travel Club. I have found the input from disabled travelers invaluable. califanna, I've never really travelled much before my injury (at least not outside of North America) but since getting injured, I've been to Cuba for my first time. The resort I stayed in was high end and did cost more since the cheaper resorts didn't have accessible rooms but to be honest I think it was worth the money for me. The overall experience is better being in the better resort whether you're able bodied or not! But I do see your point and agree with it completely. Actually now that I think about it, the shuttle coach from the airport to the resort isn't accessible so I needed to get lifted in which isn't convenient. The Cuban's are great friendly people who are willing to lift me but I'm a big guy (6'3 and 200 lbs) so there's the chance that things could go wrong. I'd hate for someone to injure themselves while lifting. So I decided that the next time I go, I'd either find a private wheelchair accessible taxi and if not, I can do a car transfer into a regular taxi since it's a lot safer. The only thing with that is that it'd cost an extra $100 or so dollars so that's quite inconvenient. I would like to travel around the world eventually but that's most likely going to have to wait until I'm done university haha.